What is my learning philosophy and why is it important? As a teacher, what I think about learning is important because it will guide my decisions and actions. I have realized that my personal philosophy of learning is evolving along with me. Behaviorist theorists explain that every person’s action is related to specific stimuli. They use direct observation and measurement to explain an increase or decrease in desired and undesired behavior. Many teachers with this learning philosophy use token reward systems for behavior or performance. I have also used these reward methods at times with inconsistent results. Now I understand why. In an RSA Animate video (seen here), Daniel Pink tells us that rewards might motivate students with mechanical and basic cognitive skills, but it does not work for more complicated, conceptual tasks. Instead, he insists, people long for self-direction, an urge to improve, and to be inspired. If I offer students a piece of candy to stay quiet during a lesson or to earn a perfect score on a reading test, I will probably continue to get inconsistent results. How about cognitivism? My personal experiences as a student and teacher mostly fall into the cognitive theory of learning realm. As a student, I enjoyed graphic organizers and mnemonic devices because they helped me remember large amounts of information. Many people my age can recall that My Very Excellent Mother Served Us Nine Pizzas stands for the order of the planets as they grow in distance from the sun. Once I became a teacher, it was discovered that Pluto was not a planet, so I replaced “Nine Pizzas” with “Nachos” for my own students. Poor old Roy G. Biv was named for the colors in the spectrum of light. I never understood why we needed the “I for indigo” in his name. At least graphic organizers, when there was a visual involved, helped me to make connections with the new information. How many times have I used these without even thinking about the impact they had for my students? I question whether it helped my students memorize facts or make meaningful connections. Am I a constructivist? During some periods of my life, I have been. Constructivism is a learning theory that is learner-center. It involves the idea that learners consistently are adding, or constructing, new leaning by connecting new information to prior knowledge. The role of the teacher becomes to guide, motivate, and inspire. Because this theory is learner-centered, it is individualized. After teaching the first few years of my career, I became a homeschool parent. I realized in the home environment, it was easy to be a constructivist. I didn’t have a state or district curriculum to follow, and I didn’t need to be on anyone else’s timeline. I helped my daughters by providing materials, tools, and guidance. Many years later, I returned to the classroom and the more structured environment that private and public schools provide. The more I learn and grow as a learner, the more I think I am a constructivist, which scares me, honestly. It means that, as a teacher, I should provide my students with an environment, tools, and freedom. I prefer to retain more control, but as a constructivist, I should be the “guide on the side” rather than the “sage on the stage.” Teaching involves so much more than dumping knowledge and facts into our students’ brains. My challenge, then, it to find a method of meeting my district and state criteria, on their timeline, but still allowing my students to receive a personalized education, where they have freedom to learn at their own rate and explore their interests in a meaningful way. My innovation plan is centered on students creating and maintaining their own e-portfolios. This tool will allow me to meet my challenge of teaching my mandated curriculum at the pace that is set forth by my district while also providing opportunities for my students to create, explore, and reflect on their own learning. These e-portfolios will enable my students to take control of their learning and give them a voice. This will be powerful! The e-portfolios will enhance our classroom to create a significant learning environment. This online article is taken from a section of his book, Teaching in a Digital Age. The author describes traditional learning theories and explains their relationship with the use of technology in education. This website talks about Jerome Bruner’s Constructivist theory. As well as his application, provides examples, and a clearer explanation. In this web log post, the author explains learning theories and why they are important to understand. He stresses that, with this knowledge, instructors can best use techniques to create significant learning environments. This article is on the not-for-profit sit provided by the YMCA George Williams College. I reviews general information about education, three different domains, and learning theories. Parsons, R., Hinson, S., & Sardo-Brown, D. (2001). Educational psychology: A practitioner-researcher model of teaching. Ontario, Canada: Thompson Learning, Inc. This book explores the complexity of teaching and learning. It challenges teachers to reflect on their practices and theories. RSA Animate. (April 1, 2010). Drive: The surprising truth about what motivates us. . This animated video is an adaptation of Daniel Pink’s book. It speaks directly to misunderstandings about motivation in the workplace. Are you using rewards to motivate students? Does it work? Daniel Pink has challenged me to rethink what I thought I knew about motivating people. The misconception that if something is rewarded, it will occur more frequently is common. In my classroom, I hope to promote autonomy, mastery, and purpose. 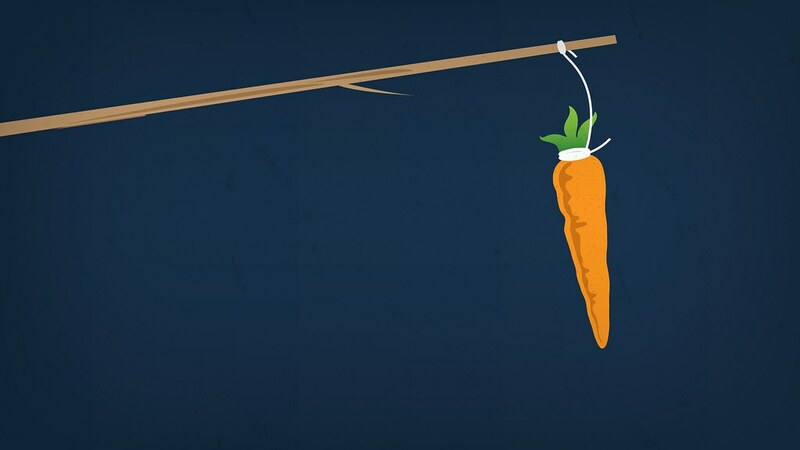 I fear that many times, I’ve only used rewards as a stick and carrot. So often, teachers (myself included) reward students incorrectly. Pink asserts that external rewards will frequently work for mechanical and basic cognitive skills, but rewards don’t work for conceptual, creative thinking. This more complex thinking is what we are striving for with our students. Again, thinking about my own career. A master’s degree doesn’t accomplish much financially in for a teacher in the classroom. I am motivated to work and learn because I have an urge to improve myself. My reward is intrinsic. Considering this, I need to ask myself, “Am I effectively rewarding behaviors I want to target?” My goal in the classroom should be more focused on students deeper learning.